Tired of queuing for a doctor’s appointment in a health center? 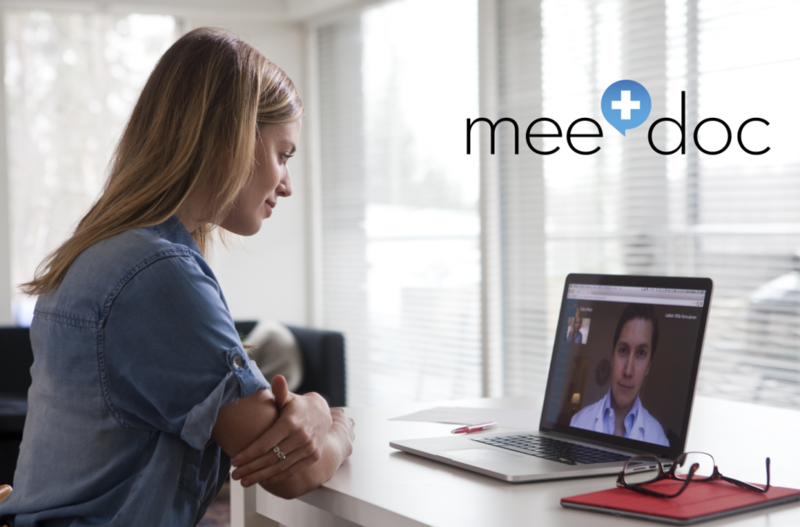 Finnish startup “video call doctor” Meedoc can treat 75 % of most common health troubles. Co-founder of Meedoc Mikko Kiiskilä tells their story. I met Mikko Kiiskilä in their new office in the hip area of Punavuori. Mikko is wearing a white t-shirt and grey sweats. He says his sorry for his unprofessional appearance. He has just returned from negotiations with a group of VC’s really and needs to gear down a bit. In the world of a startup entrepreneur it means giving an interview to me. We sit down with a can of Coke Zero and start discussing how Mikko got here. It all started when Mikko was writing his Master Thesis. 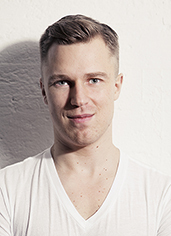 “I and my friend Wille Komulainen used to train together and throw around startup ideas. We had at least hundred different ideas” Mikko tells me. “I wanted to work in stateside startup or establish my own. I had been working in the world of advertising before entering Master studies at Aalto University.” After graduation Mikko felt that time was ready and took a plane to Silicon Valley. In Silicon Valley Mikko joined a live & work accelerator situated in the Twin Peaks area. The place was jammed with fresh twenty-something graduates from Ivy League universities [such as MIT and Stanford]. “They were exactly like me, except only 21 or 22 years old. I realized it was time roll out my sleeves and get in to work with my own startup idea” Mikko explains. But how did he come up with the winning idea? A good business idea is an idea that solves a real and important customer need. This is also the case with Meedoc. Mikko’s dream was to run a marathon but always exactly after 12 minutes of running his knee started hurting. The old knee injury was reminding of itself. All Mikko wanted to was to consult an orthopedist. “I did not want to wait weeks for a doctor’s appointment. I just wanted to have a brief telephone conversation with a specialist right away”. Mikko started wondering whether instead of queuing for free face-to-face time slot, things could be done wiser. The idea of Meedoc was born. The colleagues in work & live accelerator were helping out. “Everyone was helping each other” Mikko says. Ok, so you think you have a good idea in your hands but how can you be sure? You ask the customer and Mikko did. For several months Mikko patrolled the streets of San Francisco with a cardboard triangle. “I stopped hundreds of persons and pitched our idea and asked whether they pay for the service. All the feedback was taken into account and the pitch was changed. In the end the random people on the streets said that they would be willing to pay x dollars right away. Then I knew this would work.” What did the persons get from answering? “A 5 dollar gif card to Starbuck’s” Mikko says. What a difference a cup of coffee can make! At this stage Mikko took a plane back to Finland. “In Finland the starting costs for a new business venture are lower. And most importantly you can easier find skillful coders [than in Silicon Valley]” Mikko explains. In Finland Mikko took contact with Aalto Center for Entrepreneurship (ACE) with whom he had been working with his previous project. “The help and guidance ACE provided was really important at that stage. We got the possibility to do our first prototype, the first version of the iPhone App. That eliminated the technology risks in the venture. Now we had something that enabled us to validate the business case.” Thanks to the elimination of risks Mikko and Wille could convince their old acquaintance Juho Koponen to join the venture as co-founder number three. Mix together your own strengths and what you are really interested in. Add to the mix a scalable business that bites in to the megatrends idea that doesn’t need a lot of initial investment. When that’s done, test if it works. If your cake flops when you take it of the oven, start preparing new cake dough right away. Meedoc has appeared in several medias such as MTV3, Kauppalehti and Citylehti.